Gone are the days when a class in History revolved around marking important portions in a textbook and listing out dates whose significance is not just historical but also for answering questions for examinations. When learning about a country in Geography was about marking its rivers and mountains, states and capitals. The days when a lesson in Civics had an ocean of words sum up the roles and functions of various administrative institutions and governing authorities, frightening students for their lack of enough fingers to remember the points by. 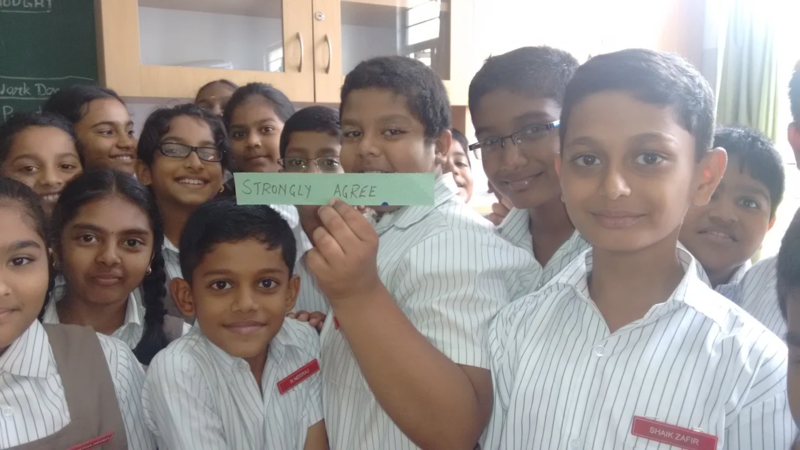 At Ekya, a lesson in Social Science has our classrooms bustling with activities, having done away with marking lines and paragraphs in textbooks and bringing in the “Live the Lesson” experience. In this edition of Understanding Ekya Curriculum, we look at how these subjects are delivered in our classrooms by exploring the Ekya Social Science program with Ms. Baishakhi Roy who designs the program at the Ekya Learning Centre. 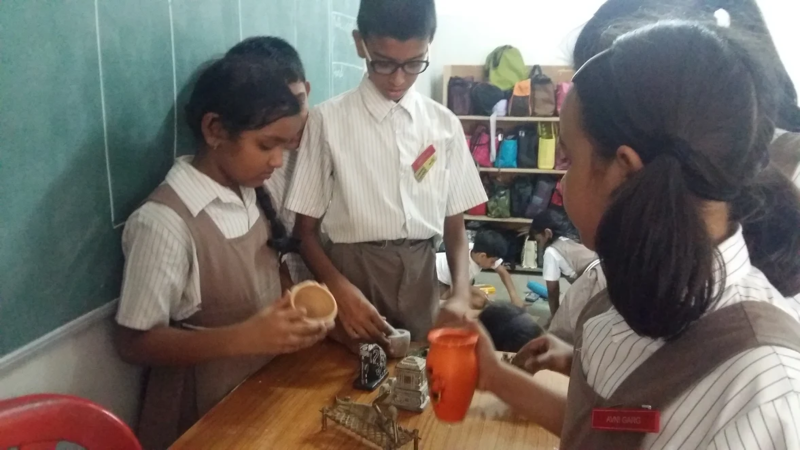 History for the young learners at Ekya doesn’t restrict them to learning about the past but gives them the opportunity to understand how and why they should learn about it. This is achieved by having ‘research about the past’ as the pulse of the history class – students think like historians, posing real questions, finding resources, interpreting information, reporting what they find. They even conduct interviews with friends, neighbours, and family. This inquiry-approach to learning about the past begins at the tender age of first graders, working on the curiosity of our young children. Students at Ekya imagine themselves to be in the shoes of historical characters or present at significant events during the course of History. They give their own opinions on how they would have dealt with the situation if they had really been there. Grade 4 students pretending to be historians to learn about the past. 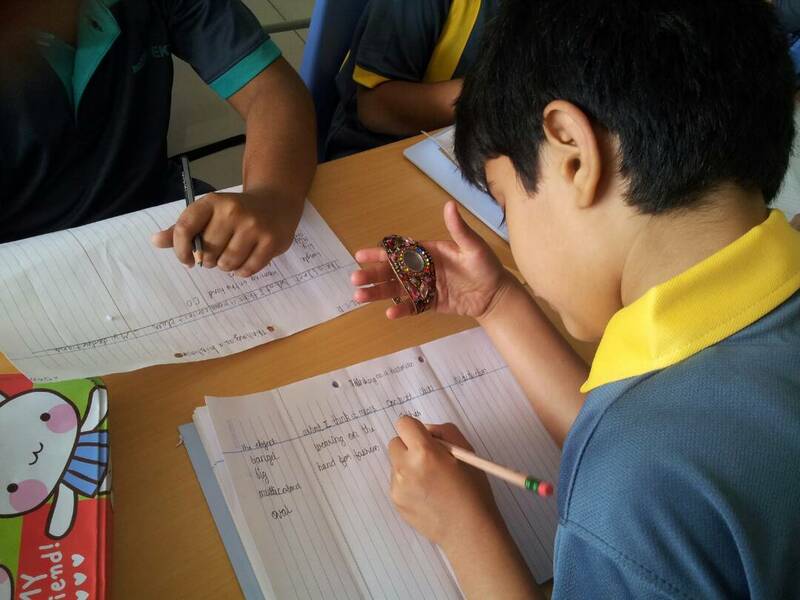 Before the fourth graders went about exploring the Indus civilization, they were given an opportunity to understand how historians try and find out what happened in the past. 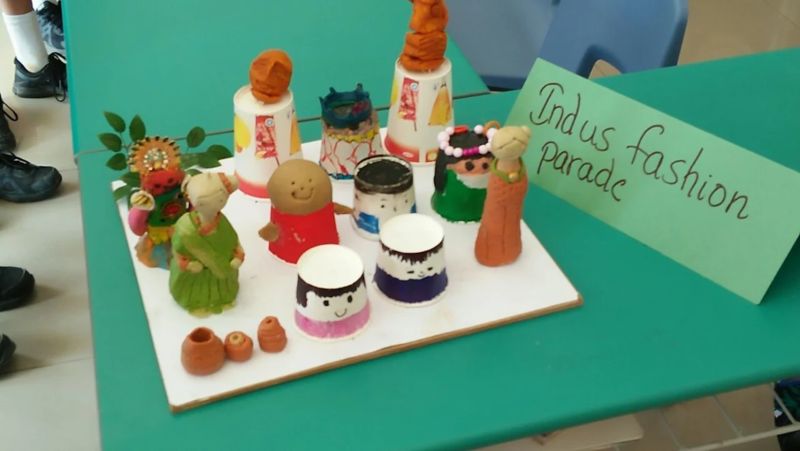 After understanding why kingdoms and empires grew in India, our children from Grade 5 sailed across the Mediterranean to explore how the people in a small island of Greece started a culture that has had an enormous impact in the modern world. At Ekya, we bring back the past in our own fun and quirky ways. History is not just about devouring pages of facts and information. It encourages young minds to understand the past, in order to fully appreciate themselves, and others. It helps them understand the present and contribute to planning for the future. It helps them shape opinions about what happened in the past which they reproduce in form of journals, letters, and narratives. At Ekya, we don’t just focus on the content of what they learn in class. We are helping our children get familiar with factual knowledge and give them opportunities to nurture the skills required to harvest such information – if they are not familiar with a specific historical reference, they should be able to locate it in place and time, know how to find sources of information and evaluate them, familiarize themselves with context and grasp the significance of the reference. While our students study the physical and political divisions of India and the Continents of the World, the learning doesn’t stop there. 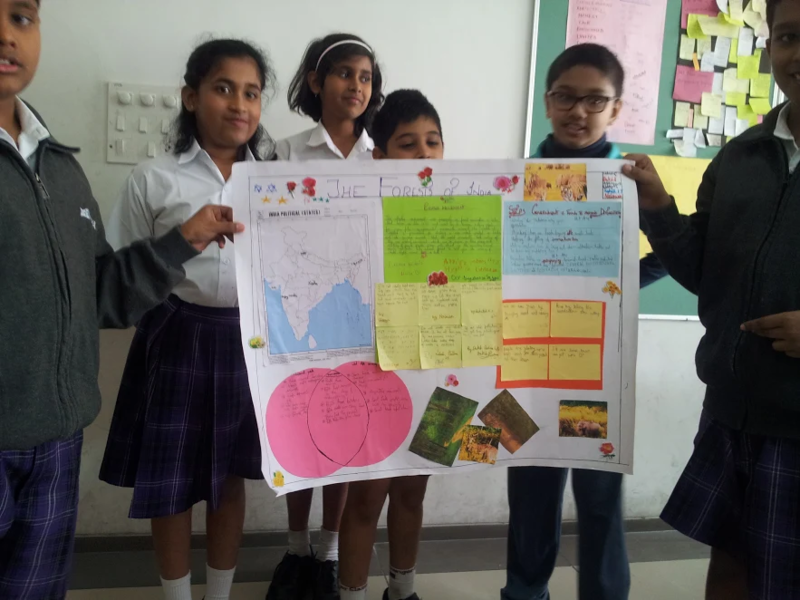 Geography at Ekya, allows students to understand the importance of the Environment. Chalking out action plans to save the forests of India. Develop curiosity and interest, a sense of wonder and knowledge about the kinds of environment, people, culture and places that exist around the globe, while providing students with a sound geographical knowledge of their own place, India, and of the world. Enable students to explore and gain a good understanding of geographical thinking including its perspectives, concepts and ways of explaining. Enable students to become active, thoughtful local, national and global citizens, and to understand how they can influence the future of a place. Develop students’ ability to ask geographical questions, plan an inquiry, collect and analyze information, (particularly through fieldwork and spatial technologies), reach conclusions based on evidence and logical reasoning, and communicate their findings in effective ways. Build the confident and creative use of geographical skills, and to enable students to use these skills to extend their knowledge; make sense of new situations, and to solve problems. Understanding the climatic belt of Australia. Introduced from Grade 3, civics and citizenship is aimed at facilitating the attitudes, values, and dispositions students need to fully participate as active citizens in their communities. As one of their activities, our third graders play a game without rules to understand the significance of rules and that one should be responsible for one’s own actions. They explore the meaning of democracy by collaborating to frame rules for their own classroom. They become aware of their rights and responsibilities and learn to appreciate the need for making decisions democratically. Students in Grade 4 understand the meaning of a Government and how it works, at the grassroots, also exploring the differences between rules and laws. Principles of duty and responsibility are conveyed at Ekya through storytelling. Planning games and making rules for the whole class allows students to comprehend the concepts of the subject. Once they realize their responsibilities as a citizen, and the basic functions of the government, the children then take up projects to solve problems that plague their neighbourhoods. They conduct interviews and collaborate to find a practical solution to resolve these issues. 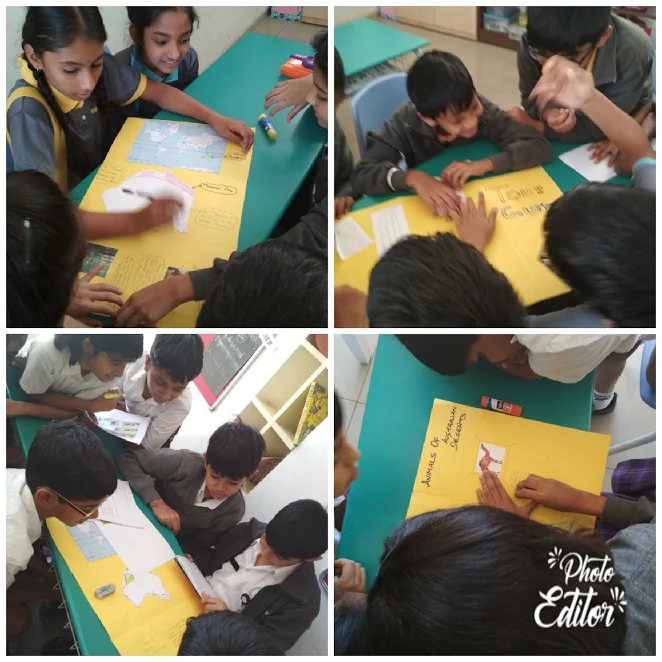 Our Grade 5 students participate in a role-play to understand which is the best form of government by imagining that they are stranded on an island. Here, they understand how governance works when they are to manage everybody else who are stranded with them on the same island. 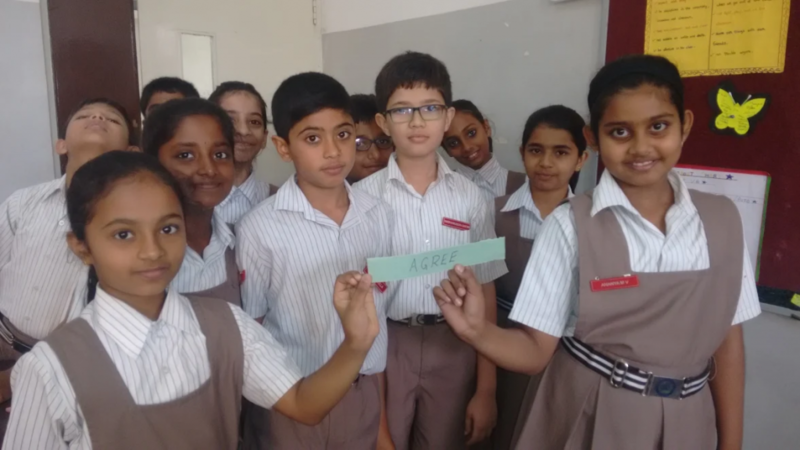 Through this activity, the students put different forms of governments under the lens, understanding why democracy has become the most popular form of government in the world. © 2014, Ekya Schools. All Rights Reserved.